Anna has a loose tooth—and the Tooth Fairy will be coming to visit soon! 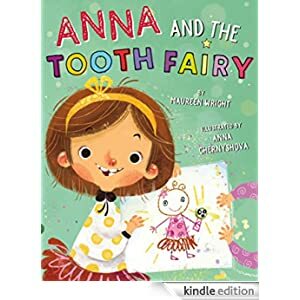 As Anna’s excitement grows, she realizes that Sophie, her baby sister, must be a Tooth Fairy in training. Sophie is always up at night, her rattle looks just like a magic wand, and she’s even learning to fly! So Anna begins to teach her little sister all the skills she’ll need to be the best Tooth Fairy ever. But what will happen when Sophie is no longer in training? Will she go away? It’s up to the big sister to make sure that never happens! This Kindle Fire book is for ages 3-7 and is selling for only 99 cents today.